If statistics are to be believed, Apple has failed to replicate the success of iPhone in China- the country with the largest Cell phone subscriber base in the world. iPhonAsia's Dan Butterfield, citing Chinese press accounts, recently reported early Tuesday that sales Apple's (AAPL) iPhone in China have passed the 300,000 mark. It took China Unicom, Apple's official Chinese carrier, 40 days to sell its first 100,000 iPhones. In response to the weak initial sales of iPhone in China, Apple and Unicom launched a high-profile advertising campaign and a 46-city iPhone roadshow and education campaign. It took another 20 days to reach 300,000 units. "The Unicom iPhone Express has steadily picked up speed and is now steaming down the tracks," wrote Butterfield. However, it's hard to believe him. 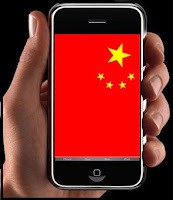 Consider this: China has over 750 million mobile phone subscribers. China Unicom, the country's second largest telecom operator and official iPhone carrier has around 150 million subscribers. Just to compare how things stand, in South Korea, the country's largest carrier wireless carrier KT Corporation sold an estimated 60,000 units, representing roughly 15 percent of 400,000 total smartphones sold in the country in the third quarter of 2009. The hard truth is that Apple's iPhone has hardly been able to make its presence felt in China. Apple and China Unicom are struggling to gain a foothold in the world's largest cellphone market.Pricing obviously is a major issue. No doubt, the contract-free price of the iPhone in China ($1033 for a 32G iPhone 3GS)- considered to be too steep by China's standard has kept away buyers. "China is an important market for Apple, but pricing is crucial as operators don't subsidize mobile phones in this market," says Anshul Gupta, Gartner principal analyst for mobile devices.Smartphone of other companies are available $200 upwards locally. Moreover, Chinese shoppers can find cracked gray-market iPhones for around 4,000 yuan (US$587) at many local electronics markets. Many Chinese are also using iPhones that have been bought in other countries. iPhones are available for $800 in nearby Hong Kong. In China, Apple is offering crippled versions of the iPhone 3G and the 3GS. In order to comply with government restrictions on high-speed Internet devices, the Apple had to build a version of the iPhone for the Chinese market that doesn't have a Wi-Fi chip. Thus, iPhone may be selling like hot cakes in US, but in China, success may elude Apple. Apple has failed miserably in India as well- China's neighbour and the second largest mobile market. The competition in smartphone space is going to heat up further with the launch of Google's much anticipated "Nexus-One". It appears that weak overseas grwoth and an overcrowded smarthphone market have prompted Apple to explore growth opportunies beyond iPhone. Last heard, Apple is strongly rumored to be preparing a tablet computer, possibly named iSlate, with a 10.1in multitouch touchscreen and a virtual keyboard. Despite much hype Apple is struggling to find a place in China. Apple's experience in China and India indicates that there is something fundamentally wrong with iPhone maker's strategy for Asian consumers. The hype created by Apple is only an "American Elite Brand". Features on the phone is far less than the other models available in the market. Price wise it is heavy on pocket. The reason behind this failure is china is a cheap gadget loving market. Super brands always not work.